This hand colored map is a copper plate engraving, dating to 1832 by the well known French mapmaker Delamarche. It is a representation of Greece and the Balkans. 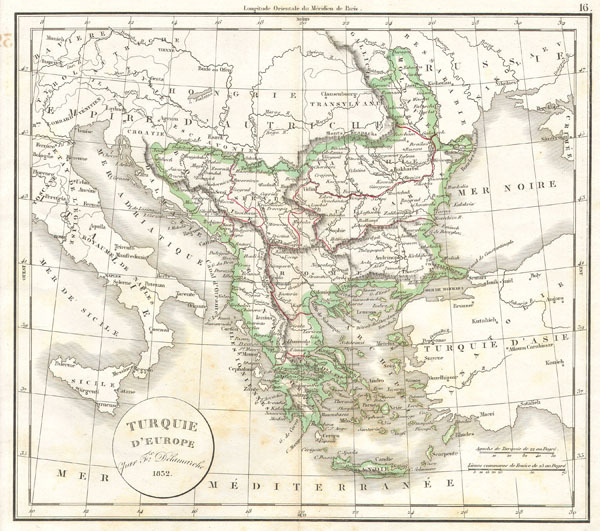 Formally titled, 'Turquie d'Europe' as this was then part of the great Ottoman Empire. Light foxing, otherwise very good condition.